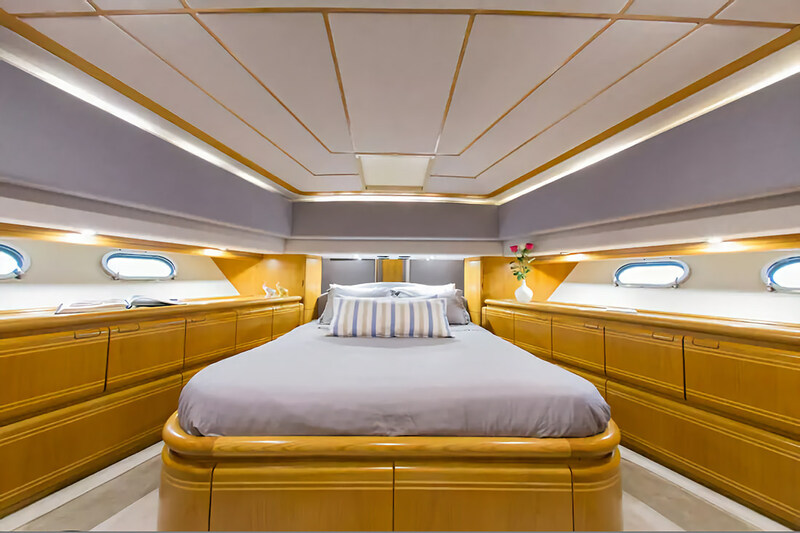 The lower deck swim platform provides easy access to the water and the tender can be stored on the stern when not in use. 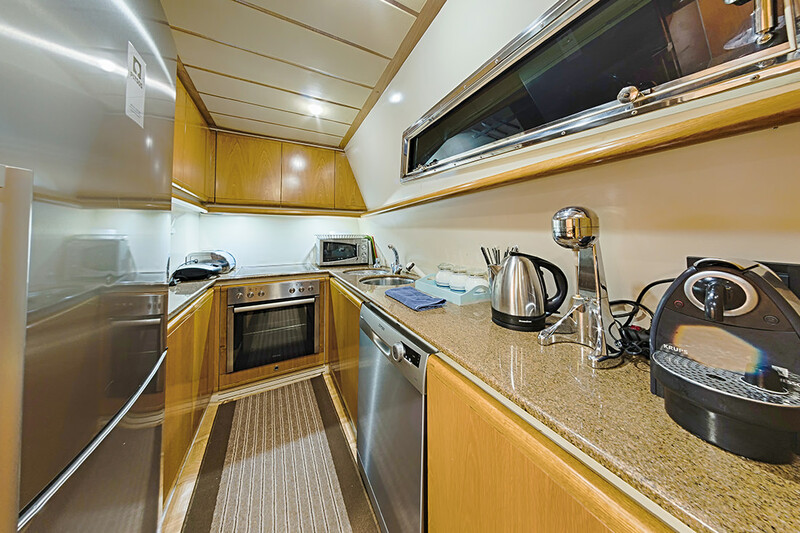 The main deck aft is fitted with seating along the stern and the shaded cockpit provides an alfresco dining area for up to six guests. 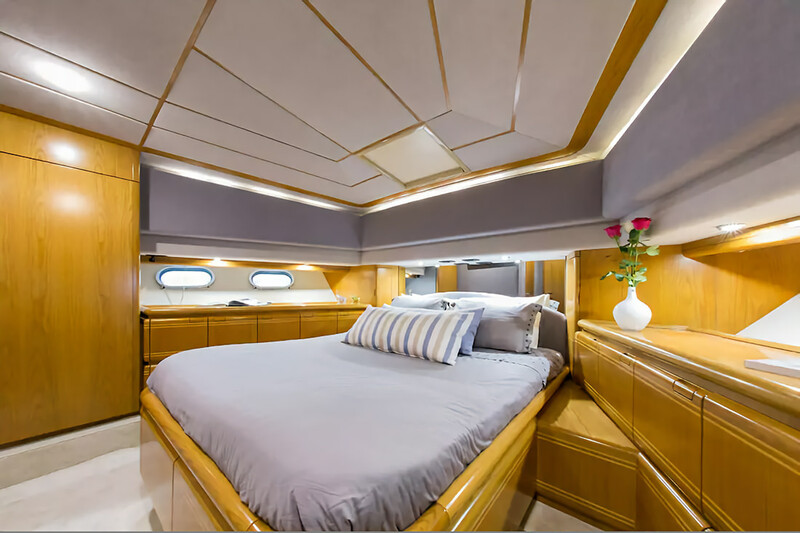 The foredeck is fitted with a sun pad that can be shaded by an awning for all-day outdoor relaxation. 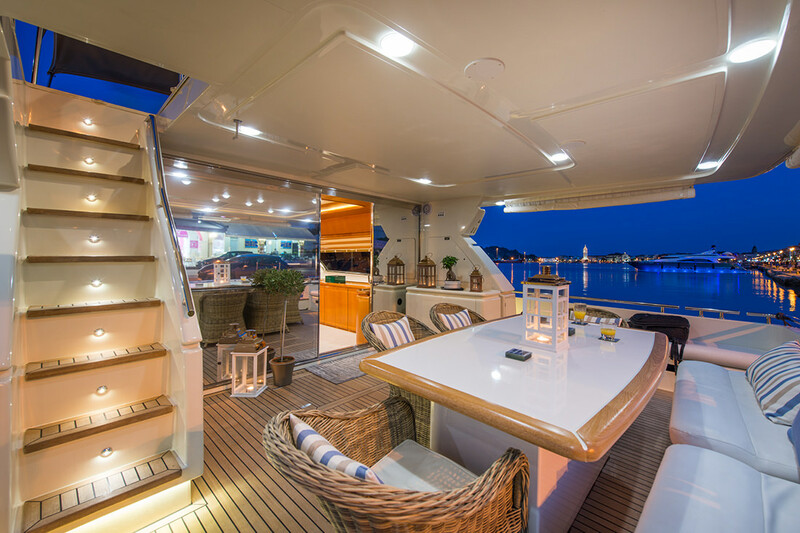 The flybridge provides guests with sweeping views from an elevated position, where the group can dine alfresco at the forward C-shaped table or nap on the aft sun pad. 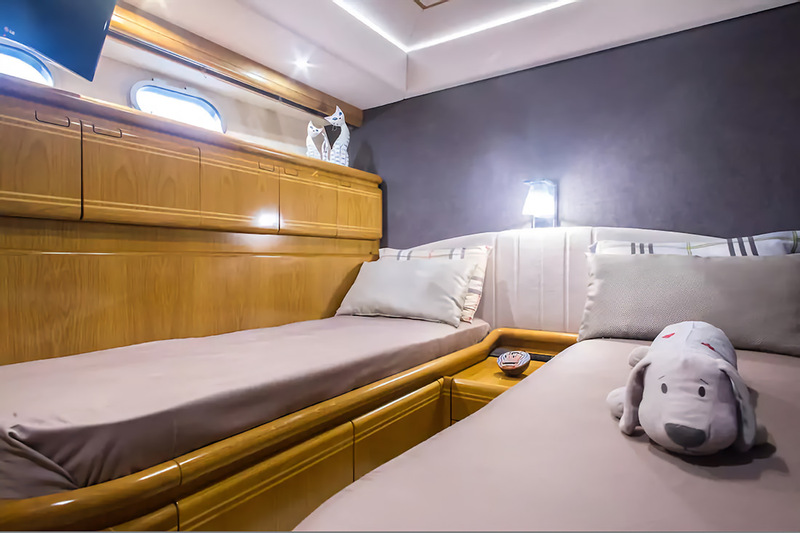 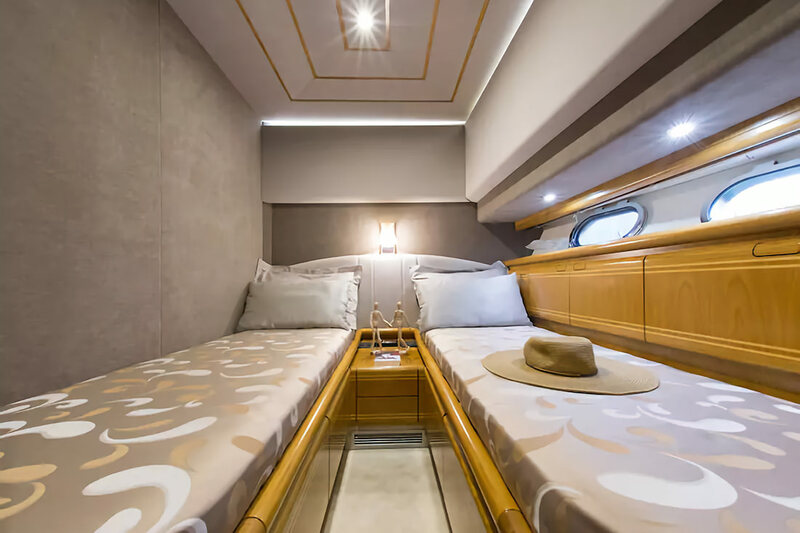 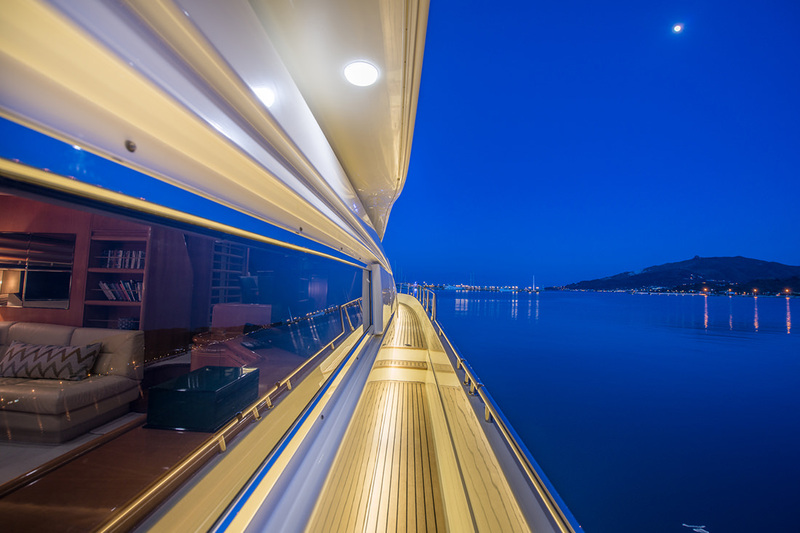 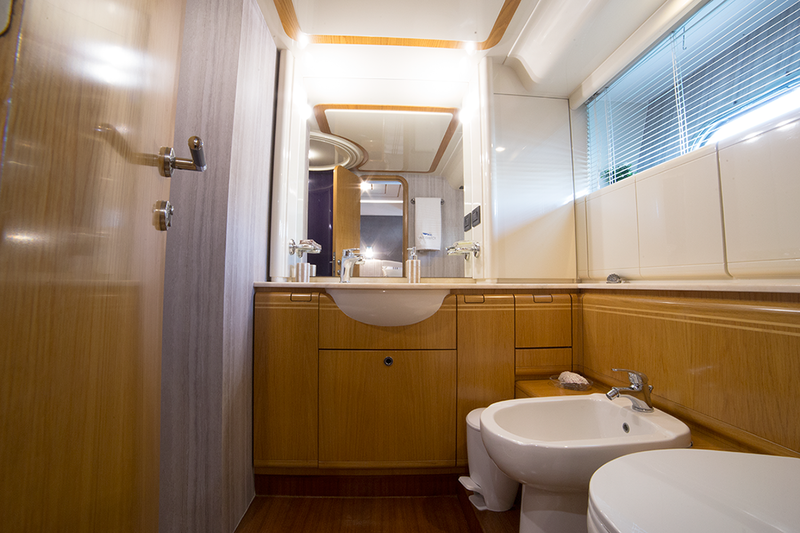 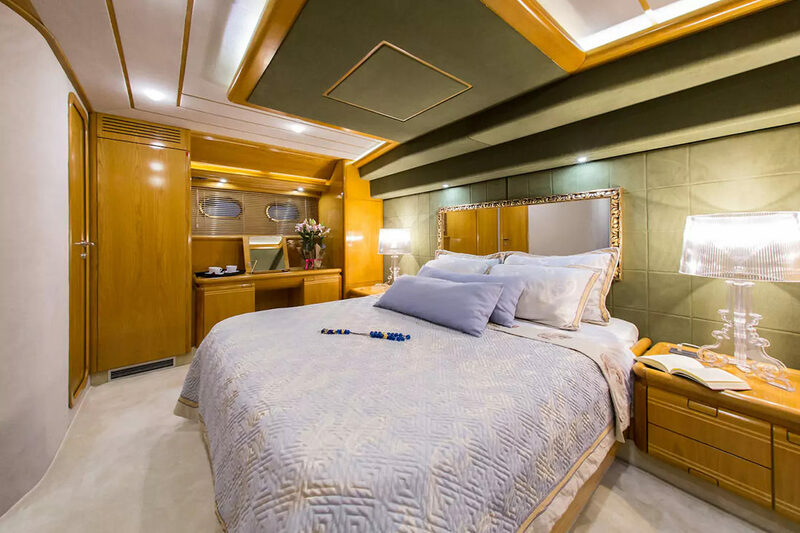 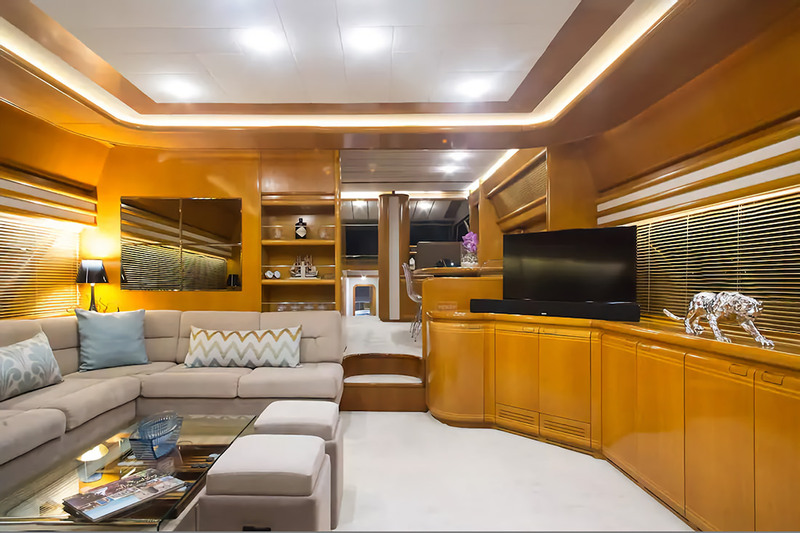 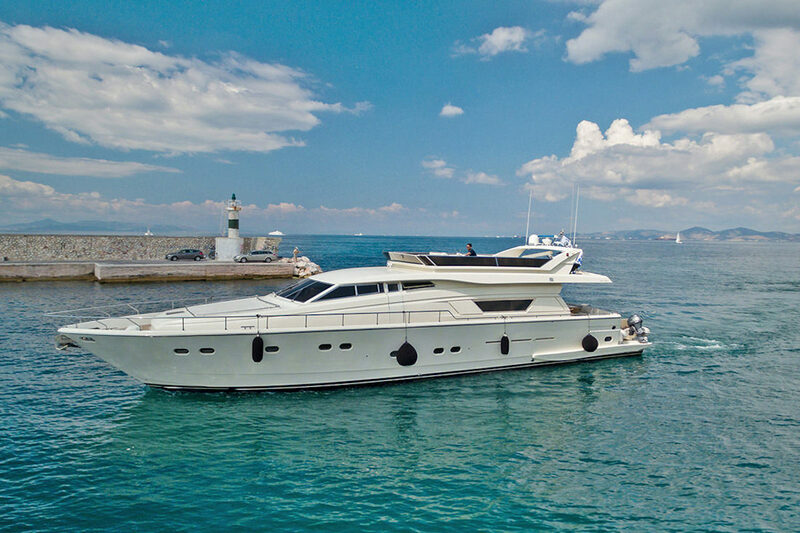 The lower deck layout contains the crew accommodation and the guest accommodation, which consists of a Master suite, a double cabin and two twin cabins all with en-suite amenities and TV entertainment available. 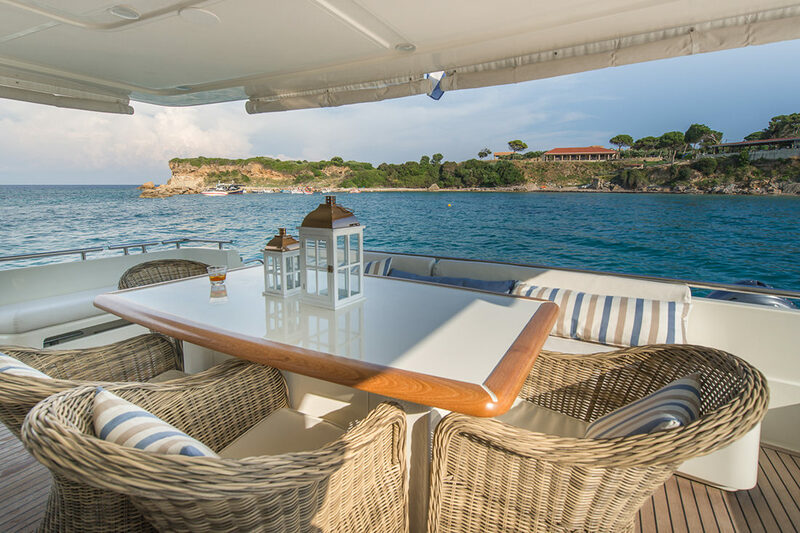 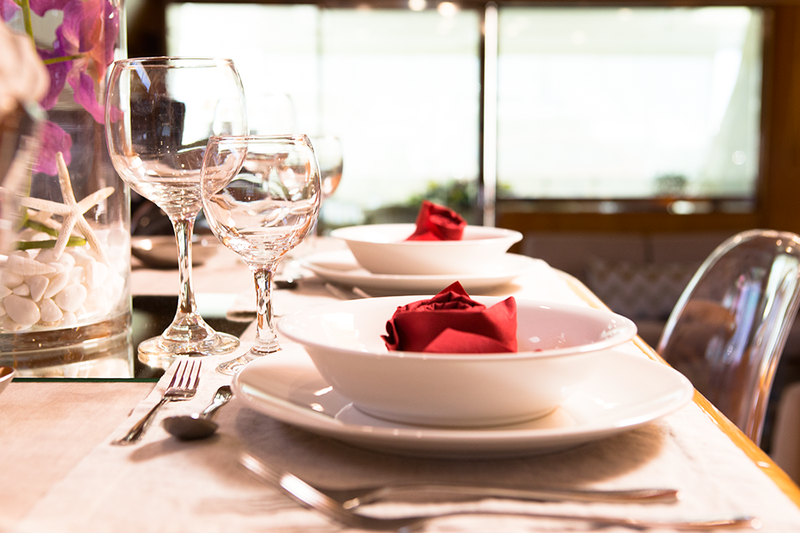 Above, the formal dining area is placed forward on the main deck and seats up to six guests in intimate and timeless surroundings. 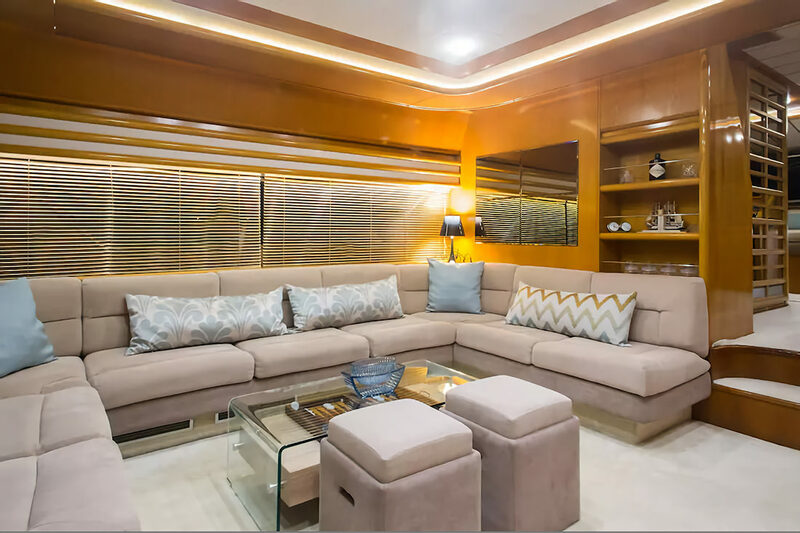 To the aft, guests can rest on the C-shaped port sofa in the salon and watch a film on the widescreen TV. 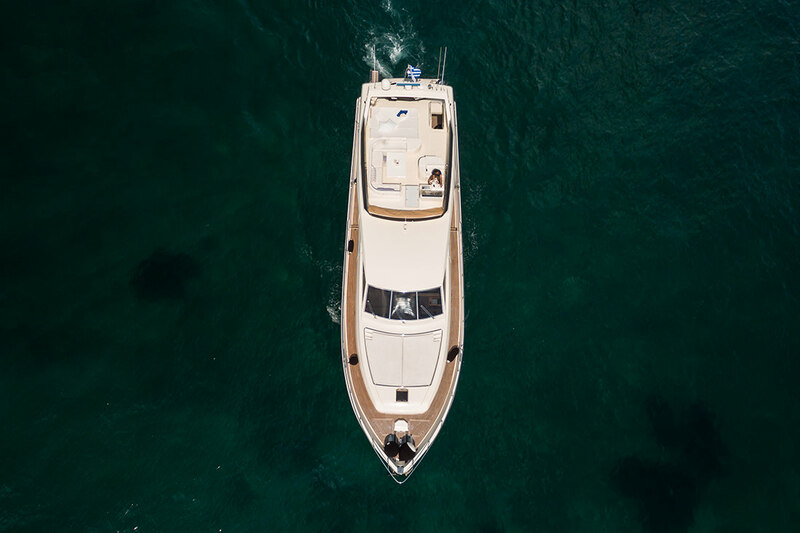 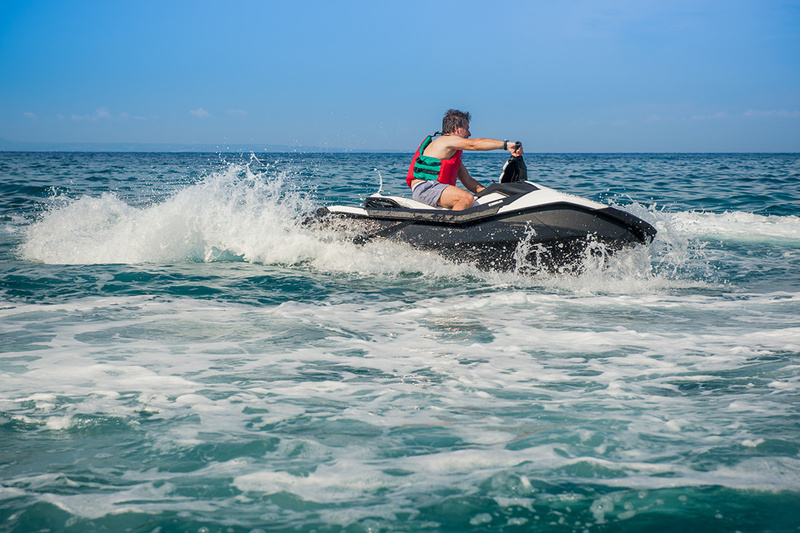 2 x 1250 HP Caterpillar engines provide a cruising speed of 23 knots and a top speed of 28 knots. 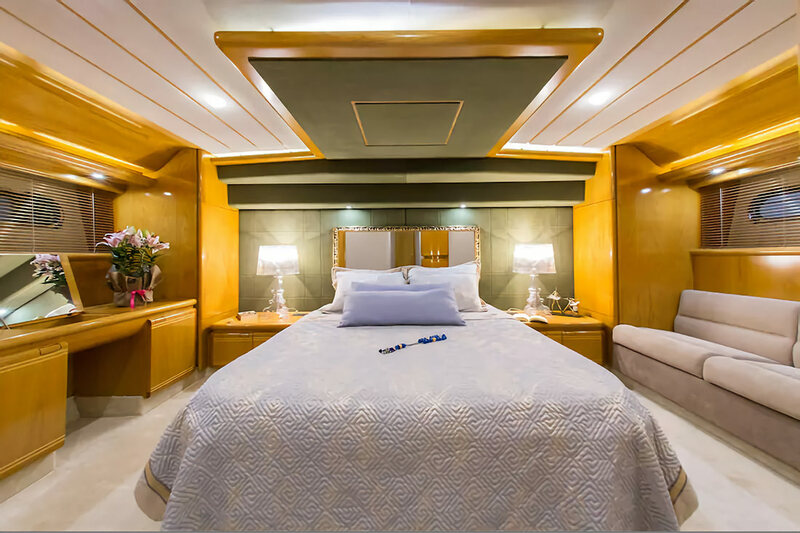 The accommodation sleeps a maximum of 8 guests in 4 lavish cabins: 1 Master suite, 1 double cabin and 2 twin cabins, all with en-suite facilities. 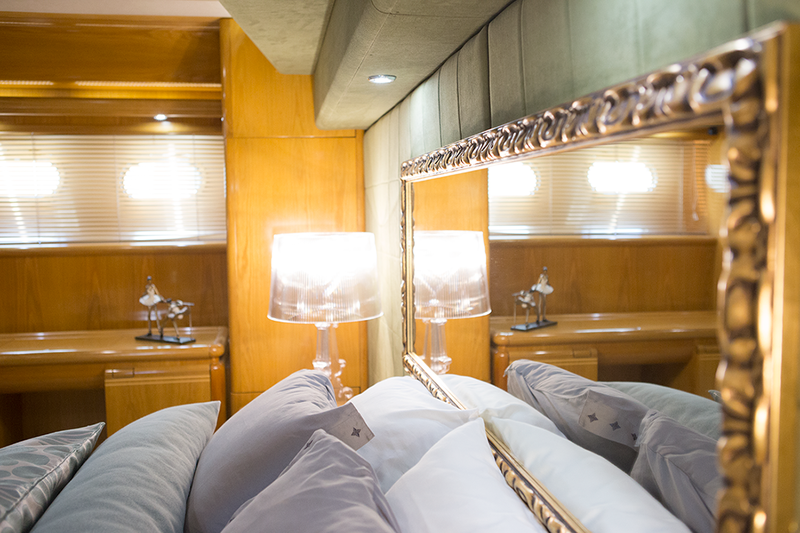 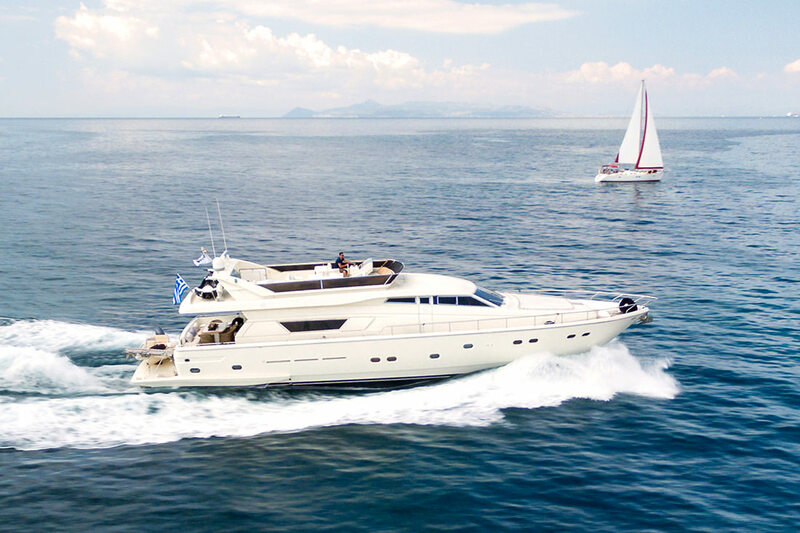 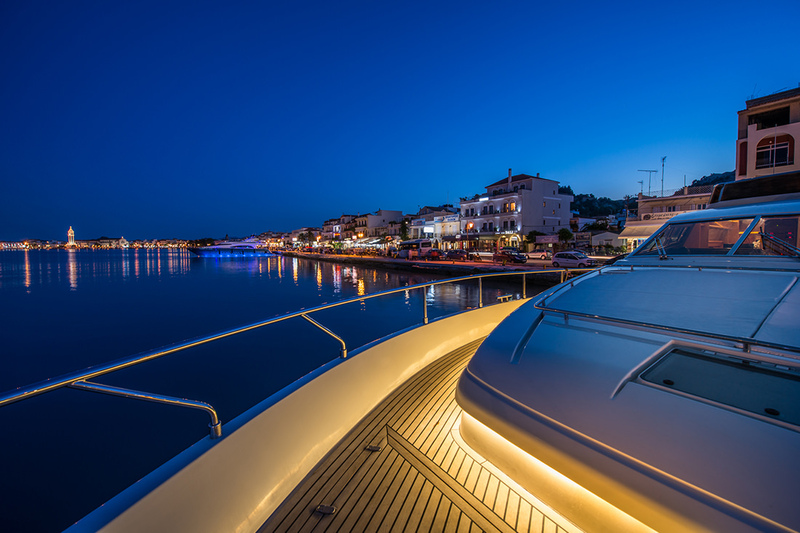 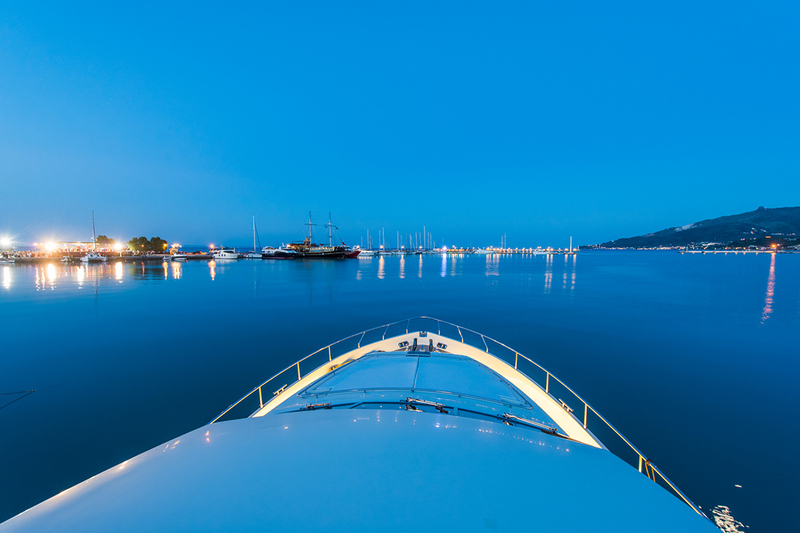 The crew of 4 will ensure that everyone on board has a fantastic holiday wherever they travel.